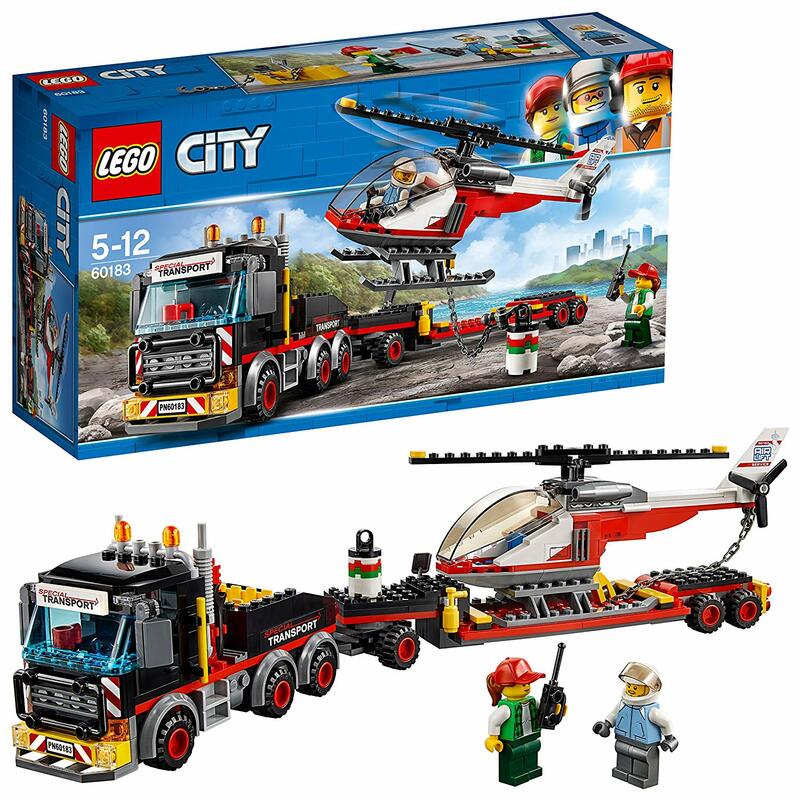 LEGO Best Toys for Kids, these building toys encourages child imagination and the creativity of kids. they learn a lot while they are playing with it. Building blocks help kids to learn to balance and making some extraordinary things like animal, building construction, castle, superheroes and which your kid can dream up. The Building Blocks are most popular in toys category, they promote kids logical and problem-solving tricks and technique. 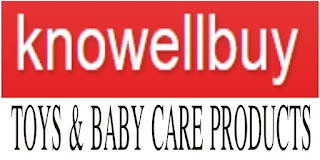 All toys are help kids in encouraging gross motor skills. Here we brief and review some different age group Lego building blocks for kids between 18 months to 14 years old. The Lego is known for good quality child safe material toys(building blocks) across the world. This block set includes 174 pieces and offer age-appropriate build and play experience for 7 to 12 years old kids. The kids have fun with awesome 3 in 1 T-rex with bright orange colours and posable joints and head, large claws and an opening mouth with pointed teeth. A dinosaurs prey in the form of a rib cage. This is an action-oriented toy, kids love it. 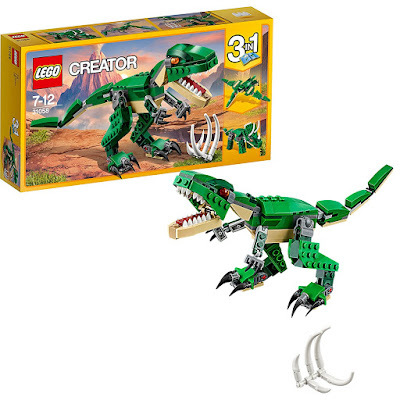 Rebuild this 3 in 1 Lego creator mighty dinosaurs model to create triceratops or a pterodactyl. Three models in one set. Lego Duplo My First Car and Truck help kids to learn to combine wheelbase and bricks to make vehicle all shapes and sizes. This Lego set encourages kids creativity and storytelling skills. This Inspirational set sparks ideas into kids mind. 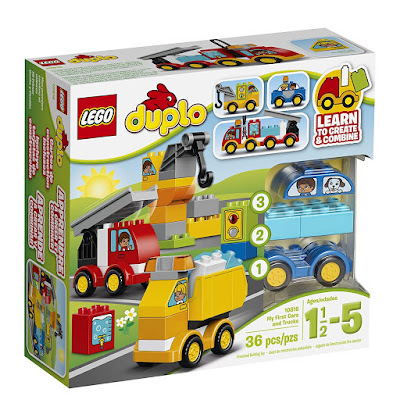 The large Duplo bricks are safe and suitable for little hands. 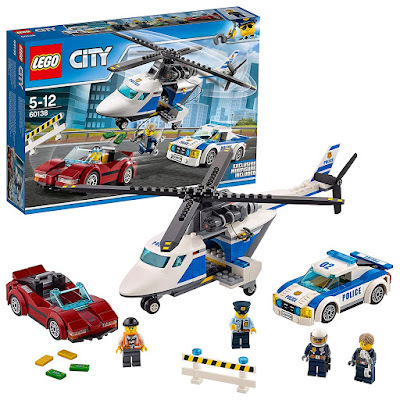 This set features with a police helicopter and spinning rotors and a lowering winch with hook, police pursuit car, stolen sports car and a barrier. Also includes four mini figures, a pilot, a police officer, cook and accessories. This Lego set includes 2 mini figures a truck driver and a helicopter pilot, also features with a heavy truck with bull bars, exhaust pipes, toolbox and opening cab, plus an extended trailer and helicopter with spinning rotors, opening cockpit and a chain. Carry out maintenance on the helicopter and then connect the chain to the oil barrel to haul it to the worksite. Do your pre-flight check, start the rotors turning and take to the skies. There are always more supplies to deliver to the worksite. 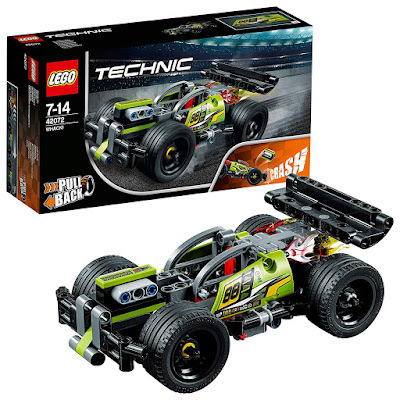 Lego Technic Whack Racer Car Building Blocks features a powerful pullback motor, sturdy front bumper, large rear spoiler, wide block rim with a low profile tires and an engine pop out function, which is activated on impact. Kids love to build and play with this pullback motor car. The Lego Technic Whack Racer Car Building Blocks encourage to assemble the car with a powerful pullback motor that works on push and pull to launch the high-speed whack. Lego Junior Spiderman vs. Scorpion Street Shutdown set comes with a story where spider-man stop and catch the scorpion. 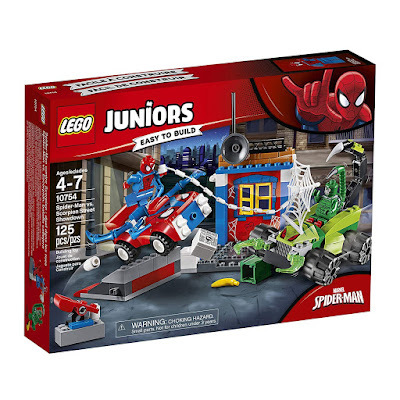 This set also features a scorpion car with movable pincers and tail, along with an alley wall with opening window, a ramp that connect two ways, big web, flexible web "string' and a buildable catapult. 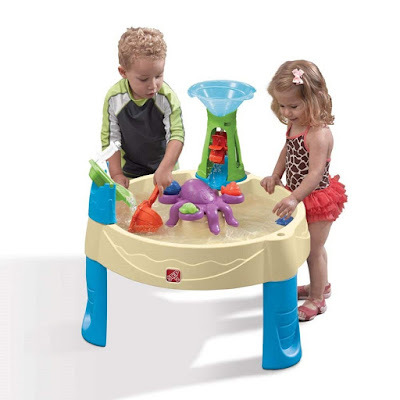 This build and play set full of action that promotes kids creativity and imagination. Nice gift for kids who are spider-man fans. 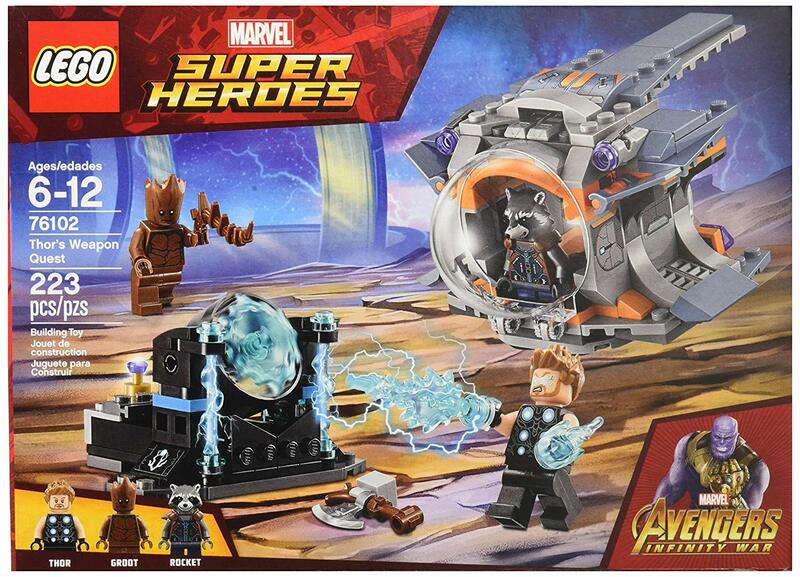 Lego Super Heroes Thor's Weapon Quest Building Kit includes 3 mini figures of Marvel superheroes Thor, Rocket and Groot. 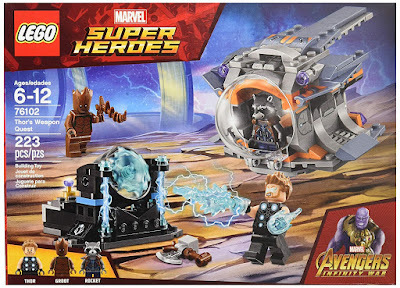 This Super Hero toy features an escape pod with an opening cockpit for 3 mini figures and 2 stud shooter, plus a space station with a cosmic power source, 2 energy coils, weapon and features, infinity stone elements and stands, 10 power burst element. Escape pod can be connected to The Guardians' Ship in 76107 Thanos: Ultimate Battles. 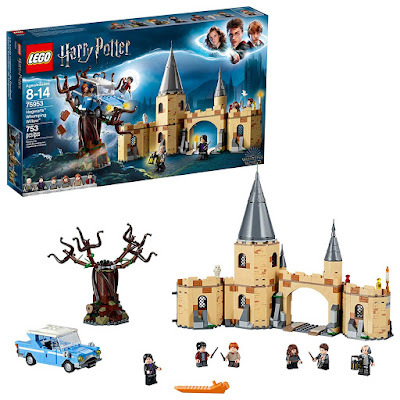 Lego Harry Potter and the Chamber of Secret Hogwarts Whomping Willow Building kit features spinning branches and three-story building castle model with a gate, and other accessories potion wand and other magic Lego items. Fly the Ford Anglia into the spinning branches of the Whomping Willow, then help the young wizards escape to join Hermione at Hogwarts, featuring a Dormitory, potions classroom, Professor Snape's office and an owlery. This fantastic Harry Potter building kit includes 6 mini-figures and a Hedwig owl figure. 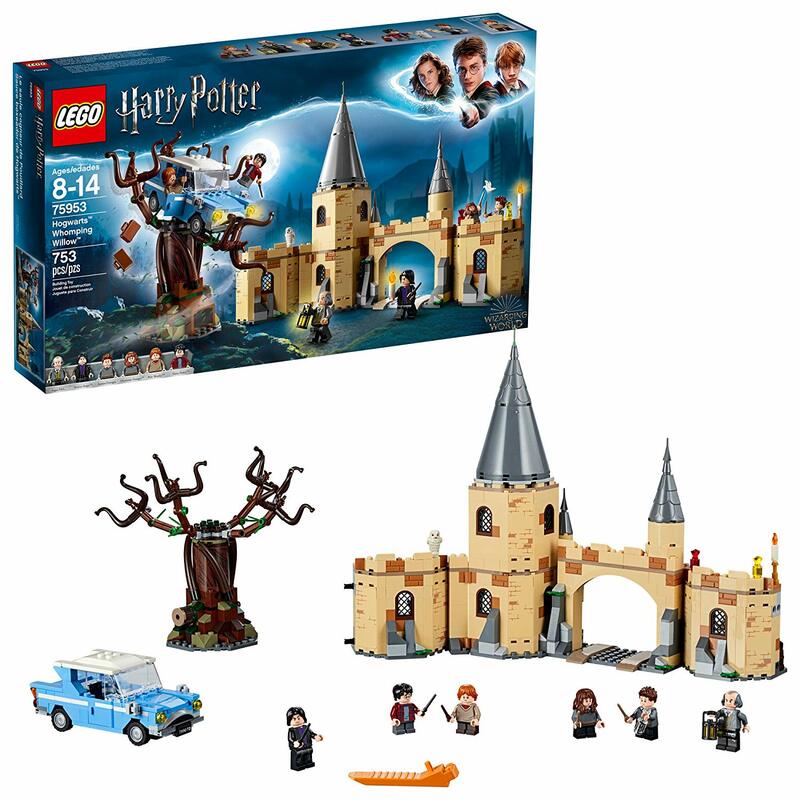 The building set allows kids to recreate the scene of the movie Harry Potter and a prisoner of Azkaban and is compatible with all Lego Harry Potter toy set. The Boys and Girls will love building this incredible magical castle set. 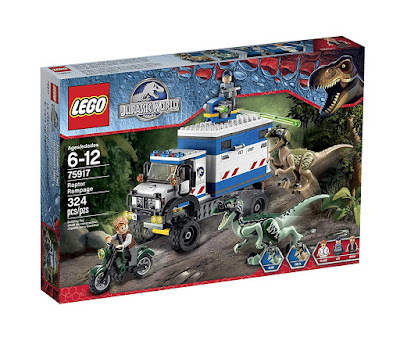 LEGO Jurassic World Raptor Rampage Building kit recreate scenes of Jurassic World movie. Fire the mobile vet units rotating rooftop shooter and drive the motorbike fast to resist the LEGO Jurassic World Raptor Rampage. Fend off raptor attacks on the mobile vet unit! Watch out! The mobile vet unit is under attack from Blue and Charlie, two marauding raptors. Drive the powerful vehicle at top speed to evade their charges. Join Owen on the motorbike to distract the dinosaurs and lure them away with the flare. Fire the rotating rooftop shooter to repel the raptors and put them to sleep with the ACU troopers tranquillizer gun. Includes 3 mini-figures with a weapon and assorted accessories an ACU trooper, Owen and Claire. Mobile vet unit features a drivers cockpit for a mini figure, opening rear door, detailed interior, assorted tools and a rotating rooftop shooter. Raptors (Blue and Charlie) each feature posable arms, legs, neck and snapping jaws, plus raptor headgear elements. Motorbike and the ACU troopers tranquillizer gun also included. Accessory elements include Owens knife and Claire's mobile phone. 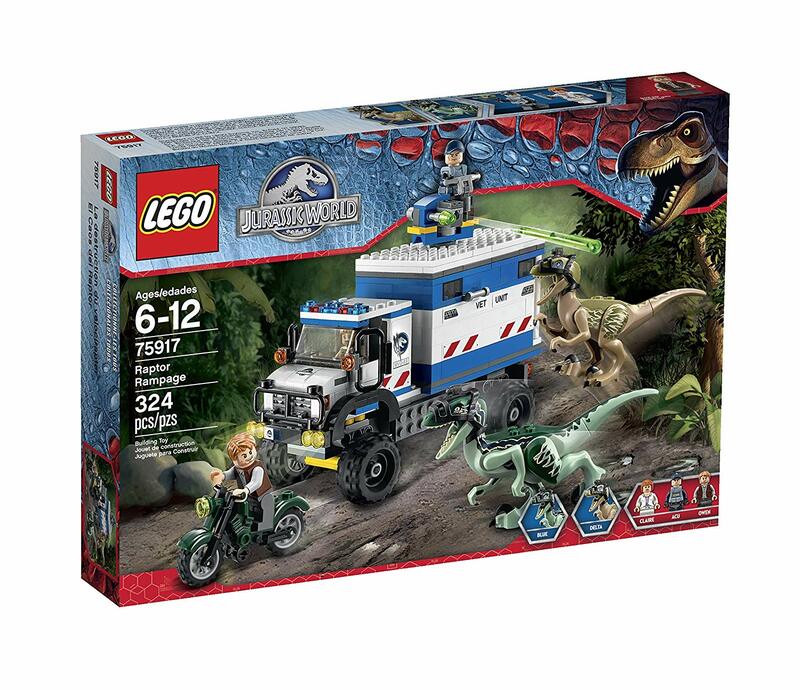 This toy set loves by Jurassic World fan kids, it is a good gift for boys in any occasion.